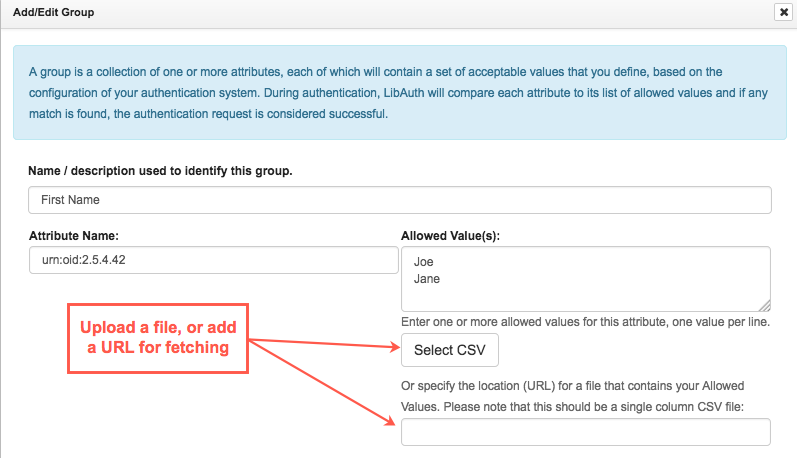 We have some cool updates to LibAuth-related functionality to share with you today! Need to limit E-Reserves viewing to students and faculty? Limit a LibCal room to just faculty bookings? You totally can, with LibAuth Groups. Please note: currently SAML, Shibboleth / ADFS and CAS are the only authorization protocols that support groups; if you do not see the Group Permissions, then your selected protocol does not support Groups. More about the existing LibCal functionality in a minute; what we’re really excited about is that you can now enable LibAuth authentication with LibGuides E-Reserves. You can specify which LibAuth profile to use at the system level or at the course level; both make use of Group Permissions. To designate a LibAuth profile that governs access to all public E-Reserves content, go to Content > E-Reserves > Settings > Authentication. To specify a profile to provide public access to the contents of an individual course, look for the Enable LibAuth Authentication menu in the course’s settings. 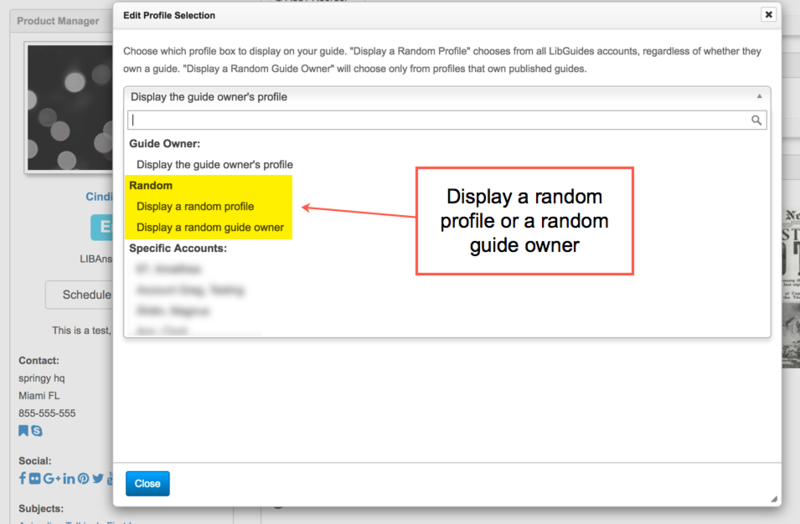 You can choose the System Default profile, no profile, or a different profile. LibAuth authentication for E-Reserves only grants access to public pages. Access to manage E-Reserves happens through LibApps accounts and not by virtue of assigning a LibAuth profile in E-Reserves settings. Want to enable LibApps login with LibAuth? You can! Edit your LibAuth profile and enable LibApps authentication, near the bottom of the screen. To give permission to an authentication group to a group of rooms in LibCal, go to the settings page of the group of rooms and choose the appropriate option from Enable LibAuth Authentication. If you use LibCal spaces, to go Admin > Spaces & Equipment > Manage Location > Edit > General > Enable LibAuth Authentication. To enable LibAuth authentication for a calendar, go to Calendars > click the calendar name > Settings > Calendar Settings > Enable LibAuth Authentication. 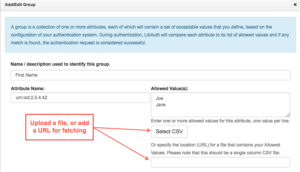 Note as with the above configuration: if you choose a protocol that supports groups but do not have groups defined in LibAuth, the additional drop-down to choose a group will not appear. You can also enable LibAuth authentication for My Scheduler by going to My Scheduler > Appointment Scheduler Settings > Enable LibAuth Authentication. Need help setting up LibAuth? See our help documentation for more information. Where would I add this tool? So far, this is mainly used by Learning Management (LMS) / courseware systems, like Blackboard, Canvas, Desire2Learn, Moodle, and Sakai…though it can be used in any software that supports the LTI framework. Show of hands…how many of you have been holding off on implementing LTI Automagic because you had to manually add metadata to each guide, course, and/or subject you wanted to pull into your course site? Mmmm hmmm…that’s what we thought. Well, wait no more! And for those of you who have done it already and need to add/update items, rejoice! Metadata importing & updating is here! Just download the import template, fill it in, and upload to add metadata to guides, courses, and subjects simultaneously. Awesome, right? Even better? Either keep that file handy or do an export of all metadata (use the Template export option) and use that file to update your metadata using that same import function! Head to LibGuides > Admin > Metadata & URLs (previously Subjects, Tags & URLs) to review metadata currently in your system and run your import! Over the past year & a half of LibApps LTI availability, we’ve expanded what you can do with the Manual and Automagic tools greatly, thanks to your feedback. We realized the Automagic content matching options are no longer relevant…matching happens largely in the same way for all 3 original options – it was only the display options that differed. So we made some adjustments to the Setup Options area to reflect the display options instead. We also added a second “failover guide” option! This option automatically displays a specific guide instead of the Library LTI page if nothing (no guides, courses, or subjects) matches the parameter value sent from the LMS. Display the Library LTI page when a single matching guide or course is found. Basically, always display the Library LTI page – single match, multiple matches, or no matches. Anytime the Library LTI page is displayed, if there is no matching guide to display, the selected guide will display instead. Now: No additional options are selected. Now: “Display the library LTI page when a single matching guide / course is found.” is selected. Now: “When no matches are found, display the following guide.” is selected, with the appropriate guide selected from the dropdown. And since you can use this in conjunction with the matching options in the previous section, you could also set a general guide (general research, library, or even LibGuides info) to display if there is no matching course-related guide! 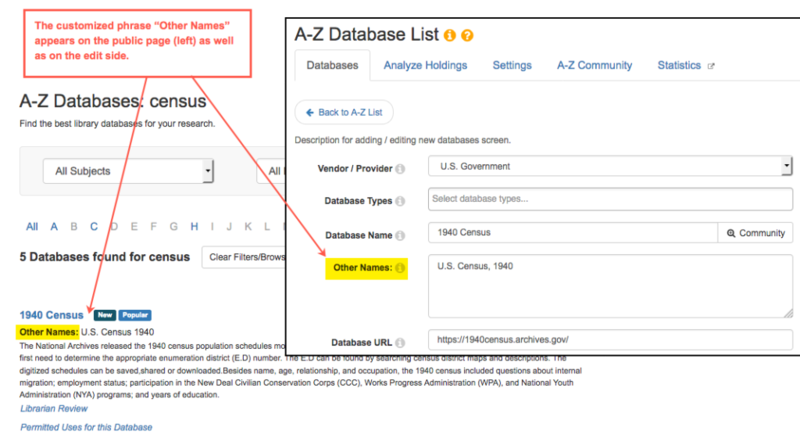 As with the matching section above, we’ve mapped your existing Translation Table files to this new format on the back end so it continues to work as before: guide, course, and subject fields all contain the same value. Manual tool + Canvas users: You can now customize the name of your Manual tool so it’s easier to find when adding links in Canvas courses! Go to LibApps > Admin > LTI Tool > Manual > Setup Options to customize yours. Important: If you already have the Manual tool installed in Canvas, you must reinstall it to use this feature, which will break existing connections. Desire2Learn customers: LTI should be working (and has been for a little while now). As is true for other LMSes, D2L Admins need to configure the tool to enable sending the user role (Faculty, Student, etc.) & that should do it! The role tells the tool whether or not the user can edit the item, which is required by the Manual tool to initially select the guide / course / database(s) to display to students. Automagic matching no longer returns published Internal or Template guides. In fact, we also removed matching on friendly URL to further ensure this type of thing doesn’t happen in future. When an instructor-level user clicked the Automagic link in the LMS course site and the Library LTI page was displayed, there was a note at the top in a yellow box that should’ve only appeared the first time the link was clicked…but appeared every time. That was confusing (and annoying 😉 ), so we removed it. Guides with only one page now display the nav button, as they do when accessed from your LibGuides site. We heard from some of you that you have more than one authentication system available at your institution, so we’ve added the capability to utilize any and all of those in LibAuth. Even if you already have an authentication method added in LibAuth, you’ll see the Add Configuration button to get you started on another. Also, this new functionality resulted in an Admin menu name change: Subjects, Tags & URLs is now Metadata & URLs…because otherwise, we’d end up with a crazy-long menu name! 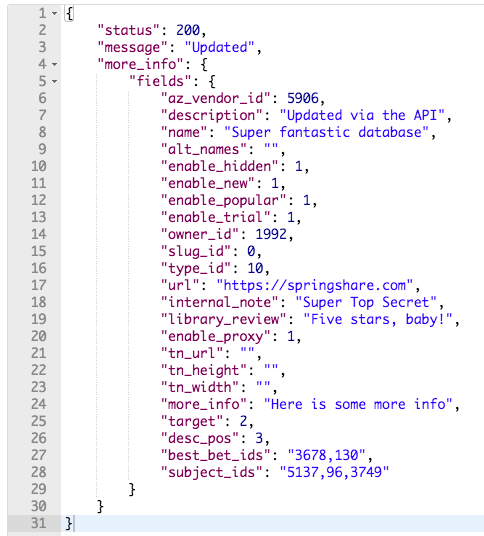 Lastly, there are a few small bugs that we’ve swatted here at Springy HQ to make your LibGuides experience even more awesome! We added a character counter for Twitter posts so that you’ll know when you’re approaching that magic 140 character limit. Patron accounts will no longer be recorded as [Deleted] if they write a long discussion board post and their cookie expires in the meantime. Permitted Uses fields in A-Z Assets now save and delete properly. We changed the text options that you see when editing an RSS asset to reflect the current behavior: show item under title / click on (i) icon. It’s now possible to delete custom metadata from a guide. We’ve fixed the link to E-Reserves contained in E-Reserve Request notification emails. E-Reserves pages in guides with friendly URLs no longer prevent E-Reserve item pop-ups from displaying. Early this year, we announced greater LibAuth integration with Springshare Tools. One of the components of this integration is the ability to use your own authentication method to login to your v2 Springy tools! Basically, if you’re using LDAP, CAS, Shibboleth, SAML, ADFS, or a self-hosted authentication tool – you can use that protocol for logging into your LibGuides, LibCal, LibAnswers, etc. While you’ll still need to have an account in those Springshare tools, you won’t have to remember separate passwords for your Authentication layer and your Springshare apps. Setting It Up – Cool Winter Project! Navigate to LibApps > Admin > LibAuth Authentication. You need to be a LibApps admin in order to see this menu. Being a LibApps admin is different than being a LibGuides admin. 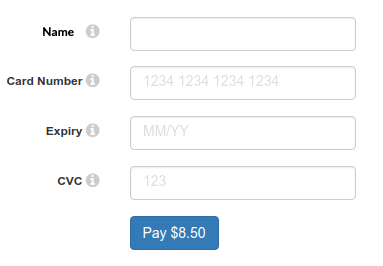 Contact your LibApps admin if you need to elevate your account status. On the configuration tab, set up your authentication protocol and be sure to run tests to make sure it’s working. At the bottom of the screen, click “YES” under Allow logging into LibApps using this authentication. Inside your authentication layer, you’ll need to release the email attribute. Creating a lot of LibGuides Accounts? No one wants to click ‘Add Account’ 100+ times when adding all of your LibGuides authors. But, they do need to have a LibGuides account for the authentication integration to ‘connect’. 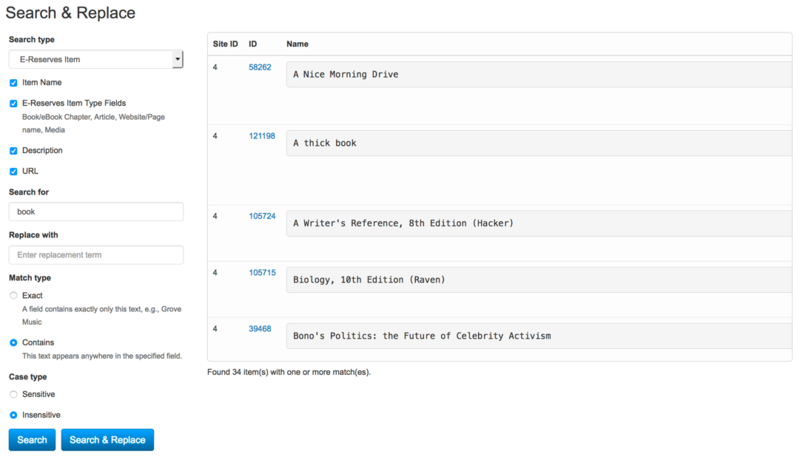 So, we’ve got a workaround that will make things much faster for LibGuides admins! Choose account level > hit send! Authors will receive an invitation to create an account password however, their account has been ‘created’ so they can sign into LibGuides using your authentication layer! Not available with SIP2 – SIP does not contain the email attribute, so we’re not able to offer this option for SIP2 authentication services. Granular Permissions – Are still managed at the Springshare Tool level. So granting access to specific tools and areas within those tools are handled inside LibGuides, LibAnswers, LibCal, etc. If you haven’t had a chance to check it out, there are amazing LibAuth integrations with LibCal. You can route users through your authentication layer for Room Bookings, Calendar Event Registrations, Equipment Bookings module, and even My Scheduler Librarian appointments. This release is just phase one of our big plans for LibAuth integration with Springy Tools. We hope to integrate authentication services inside all of our Springshare apps! Just imagine, routing LibWizard quiz takers through your authentication service. Or allowing students to post on discussion boards or comments on your blog through your active directory of users. Or using your authentication protocols before patrons can initiate a LibChat chat exchange. This is just the beginning of great things to come!